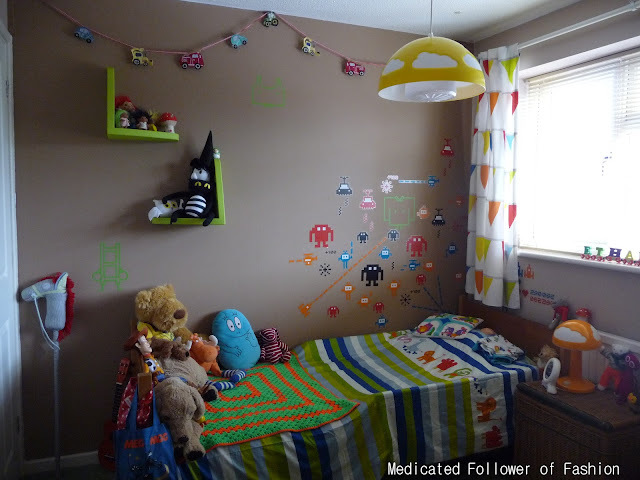 Medicated Follower of Fashion: I'll show you my...son's bedroom! I'll show you mine... is back again! This time I'm giving you a chance to nose at Ethan's bedroom. I'm going to post a few photos, but this time I'm also going to include a little vlog. It's my first vlog, so be kind to me! I apologise in advance, the sound is atrocious so you'll need to have your volume up high. 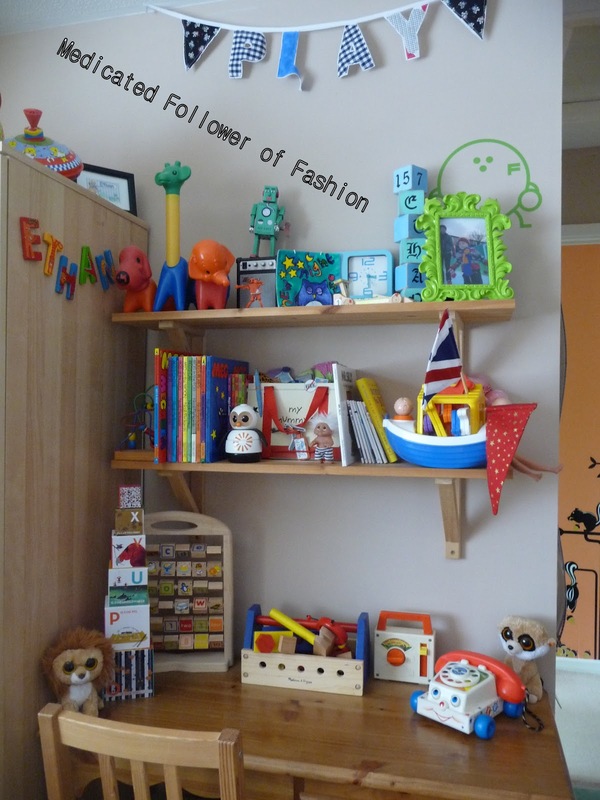 Hopefully you'll still get the gist of Ethan's room even if you can't make out my mumblings. I'm still new at this vlogging lark! If you'd like to join in, it's simple. 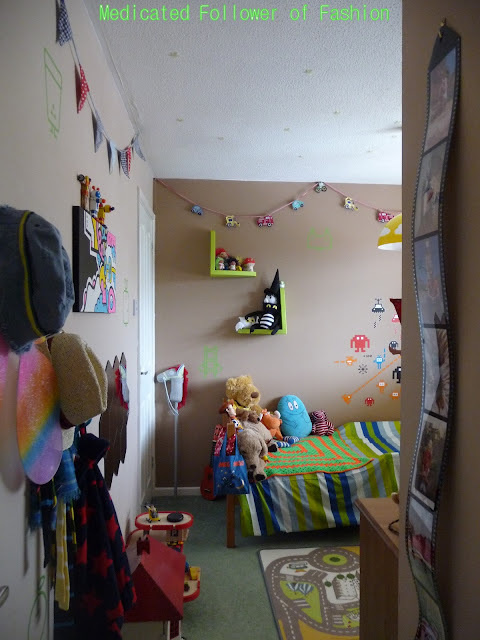 Write a blog post about your child/ren's bedroom, post a few pictures, a video if you fancy it and then link up using the easy to use linky below. The link will be open for a week from today so there's plenty of time to join in. Please include a link to my blog in your blog post. Don't forget to tweet me the link as well so I can re-tweet to my followers and share on my blog's facebook page. This is still quite a new linky, it's not well known and I could do with increasing awareness so if you can, please tell friends you think might like to join in about it and share the link on twitter. It's good for all of us! Ethan moved into his big boy room this May. Before he was in the smaller bedroom next to our room. As we plan to have another child one day, we knew we had to move Ethan. He had to move out of his cot anyway, so it all happened at the same time. Ethan was excited about a new room and it was really fun for us to redesign a room for him. 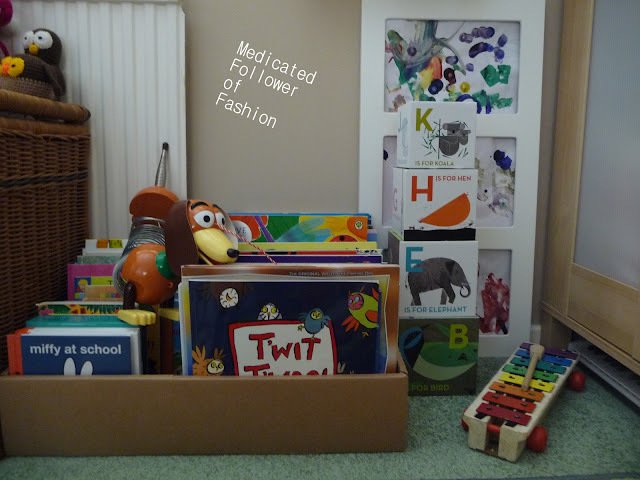 I decided that we would move all his toys (which were spread around the house) to his new room so he can have easy access to them. It also meant we got our living room back (though he is allowed to bring toys in there, they just go back in his room at the end of the day!). What a fun room! Can I come over? LOL!